Over 400 Pfizer employees came together for a quick, one hour, Rescue Bear Team Building Event in New Brunswick, New Jersey. It was quite a sight to see when the stuffed animals were collected at the end of the event and lined up on the stage in front of the room. 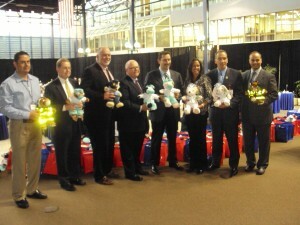 200 red and blue bags lined the stage each one containing a stuffed animal that will be given to children connected with the Robert Woods Johnson University Hospital. This event with Pfizer was a great team building experience that provided a substantial contribution to children and their families that will sincerely appreciate them. What can 400 people stuffing animals learn about team building? Each team had to work together as well as learn to work with other teams to finish the project. Each team member was needed to collaborate with each other and then stretch beyond their own team to collaborate with other teams so they could experience completing the animals. The collaborative efforts resulted in effectiveness in execution of the tasks. Effective collaboration leads to efficient execution which means that the goal(s) can be achieved. 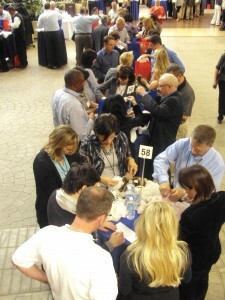 Collaborate, execute, achieve; these were the bywords for this teambuilding event. 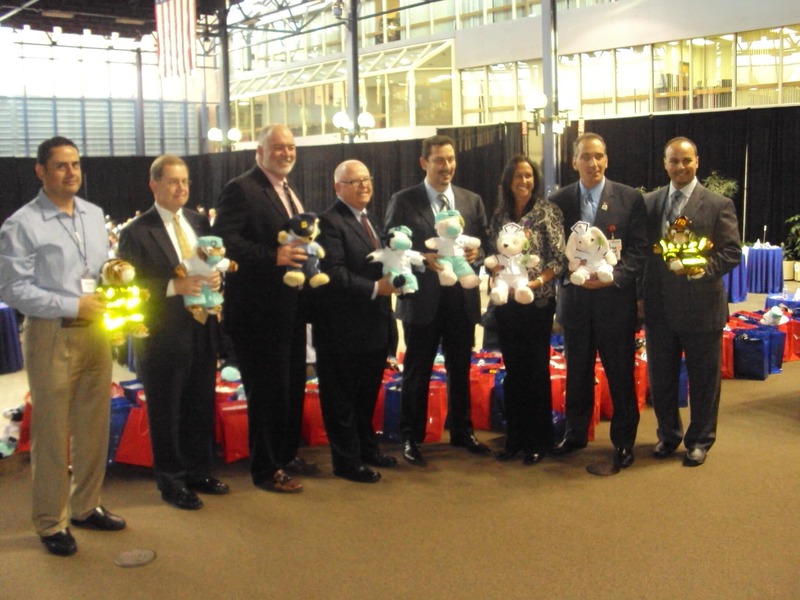 Thanks to Pfizer for providing the Rescue Bear Team Building Event that was instructional for the participants and made for a very appreciative children and families connected with one of the top children’s hospital in the greater New York area and across the US. For details about a team building event in New Jersey, click here!